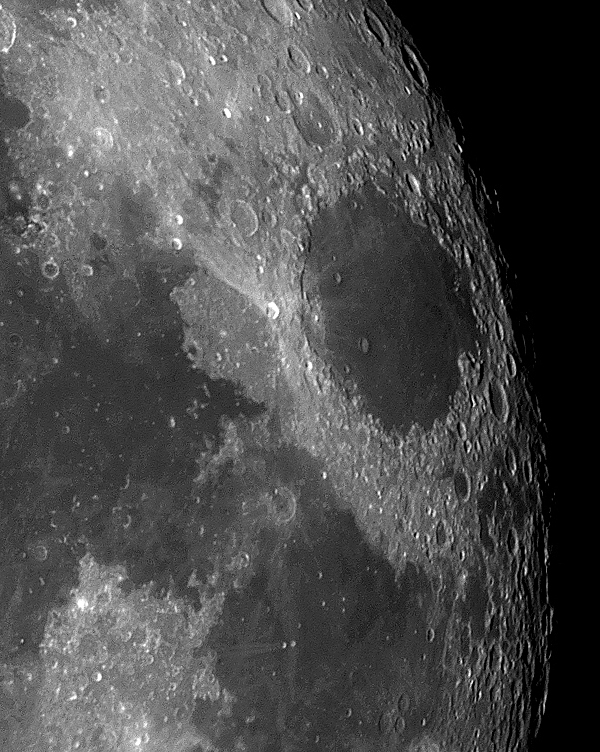 Proclus is an interesting crater in that its ray structure is not 360 degrees. It is seen here slightly above center. It's rays can be seen extending into Mare Crisium, the Sea of Crises. Another interesting crater is Messier A with it's double ray structure near the bottom center.